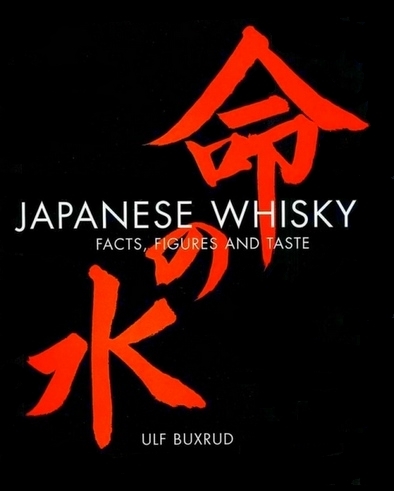 Ulf Buxrud, author of "Rare Malts", is on the brink of publishing the first proper book on Japanese whisky in English. Ulf told me about this some time ago but swore me to secrecy as he worked through the drafts. (I am writing my own book, nothing to do with Japanese whisky, so I know how tough the process of making a book a reality is). 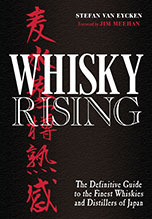 "This book is an endeavour to document the facts and figures of a formative and exciting segment of the Japanese whisky industry. It is also an attempt to mirror the arduous work and joy surrounding the rise of a trade that became an industry on its own merits. The 'Japanese Whisky' portrays all distilleries involved in the foundation of a unique chapter in the global history of whisky making. Some of these entities are gone, others are still operating at full steam. Each of the distillery portraits contains histories and comprehensive technical data, some never published before. 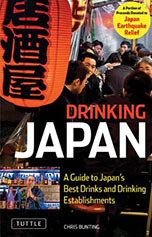 Plenty of side information such as how to travel and visit distilleries, the Japanese whisky bar culture, how to and where to find Japanese whiskies and much more is highlighted in the book." I know I can`t wait to get my copy. Sign up at this page for email notification of when the book is released. It will cost about 40 Euros, which is under £30 or $60. By the way, the characters on the cover say "Inochi no mizu" , the "water of life" (from top right reading down to bottom left). My wife's first reaction when she saw me typing away at this was "Scary!" - I think the red made her think of blood - so she was mightily relieved when I told her it was just good old "uisge-beatha". This is an exciting time for Japanese whisky fans. The whisky world started to wake up to Japanese whisky several years ago, with various pioneering experts acknowledging that it could rival anything produced in Scotland, Ireland or the US, but Ulf's book marks a very important stage in the evangelism. I hope Nonjatta is playing a part in this process too. We have a readership of about 1,500 individual visitors a month and that figure has been steadily increasing every month since the site started. I think the message is starting to get through. I was just working with a writer on the influential web magazine Chow for an article on their pages and I am myself putting together a chapter for a unique whisky book (nothing like a guide, something totally different, so no competition with Ulf!!). That will probably be in the bookshops by the end of 2008. As I say, exciting times.